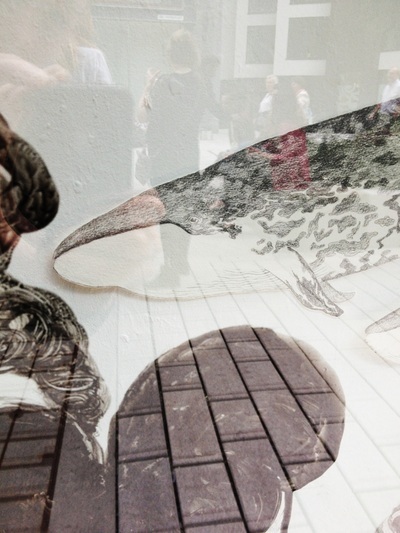 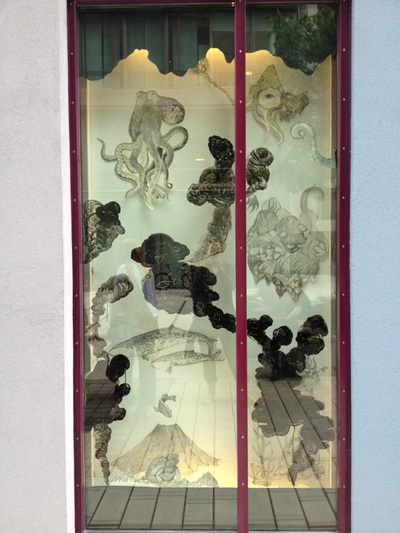 During a residency in Reykjavik I did a piece about a Whale and its mythology in a small window gallery, here at Window Box I expanded on my exploration of this story or mythology of the “underworld” in the ocean. 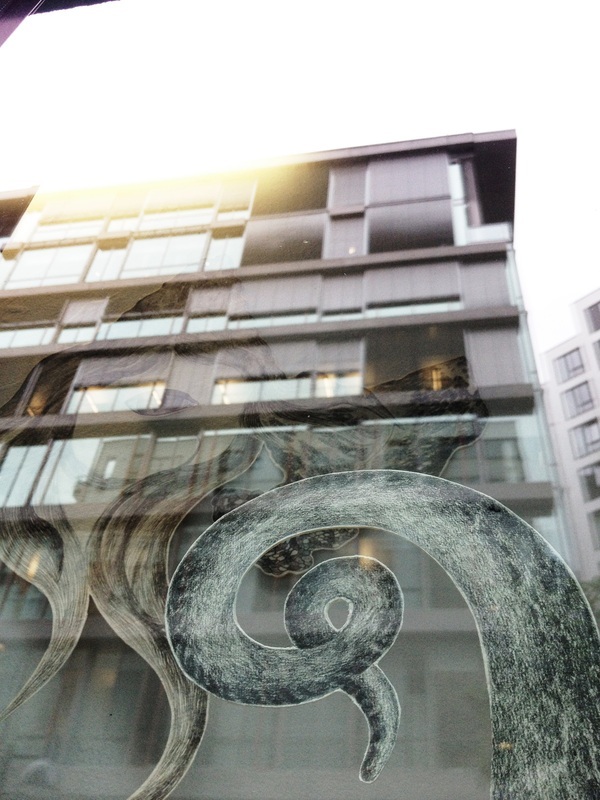 The Whale is an animal which holds mythological power. In mythology, as with real world biology and ecology, all creatures small and large hold equal importance in the greater story. In this work I explore the underwater mythological stories of the ocean and animals such as frog, fish, plankton and octopus. 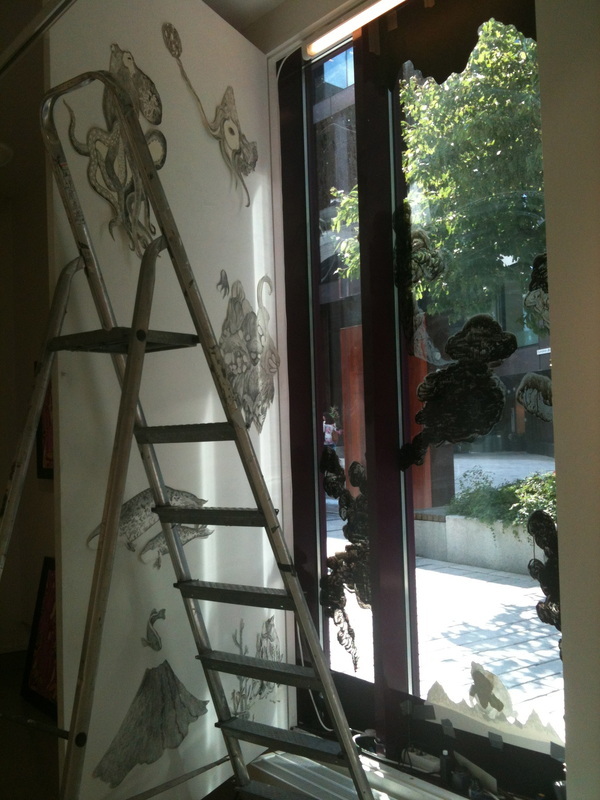 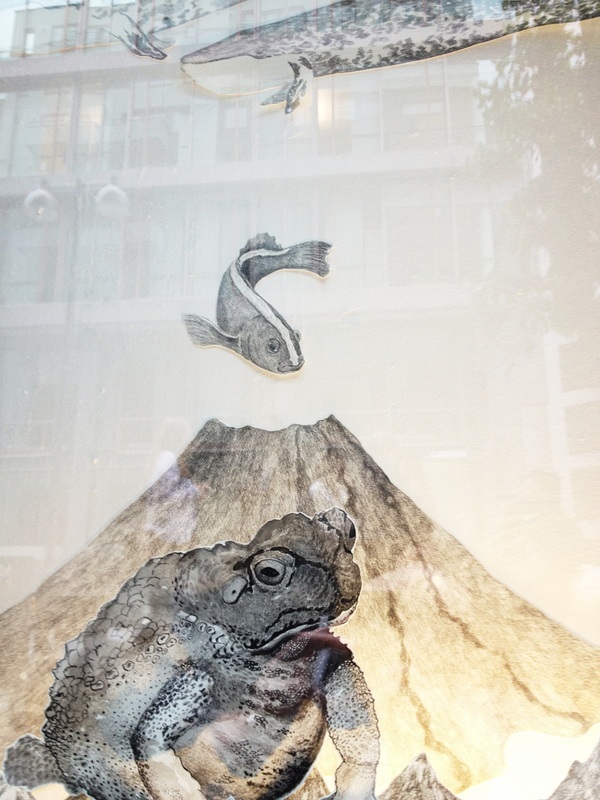 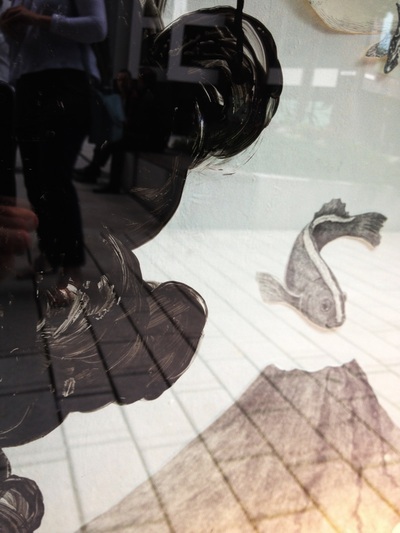 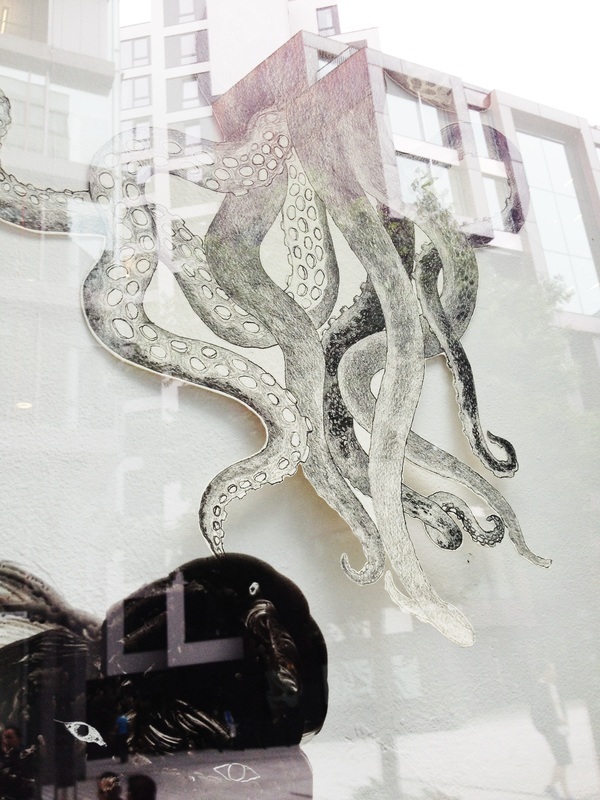 Mythistoria is a site specific work using wall collage with cut-out drawings and painting with ink on the window glass. 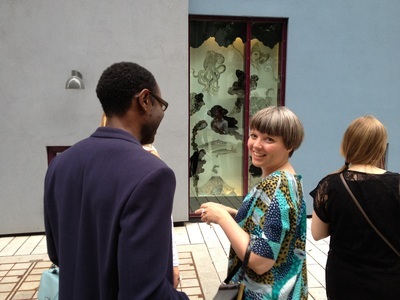 Window Box Gallery is curated by Thale Fastvold and is located at Pushwagner Gallery in Oslo.